The quote is a favorite of my daughter's from Harry Potter by Dumbledore. .
our most inexhaustible source of magic." Great quote for a writer, isn't it? I've managed to create all the words for my daughter's dorm quilt for the fall. (Her freshman year!) I am going to applique on the two commas because I wasn't happy with the paper pieced commas. This is laying on the floor of my sewing room. I need to start building out the rest of the quilt. The words with their borders are 7'' high and a twin XL (standard fare for dorm rooms) means a quilt that is at least 65 x 93''. Didn't take too much math to realize that I needed more fabric. I was making this quilt from a FQ bundle I'd won several years ago in a blog contest and using primarily just the low volume prints. The selvage told me it was a Dear Stella line but not the name of the line or the year. A bit of detective work with google and I figured out that I was using the Dear Stella Palladium line and with that info, I even found the blog post from Jaybird quilts announcing the winners of the blog contest. There were two winners from Jaybird Quilts contest and I emailed the other winner, Mary Ann, to see if by chance she had any of the fabric left. She did! And she generously (extremely generously) sent it all to me! Time to get the rest of the quilt top together! 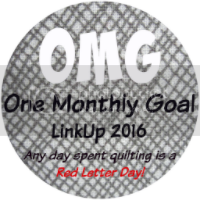 This was my OMG goal for March (goal post). I'll be linking up with a finish post here. Linking with Blossom Heart Quilts, Freemotion by the River. 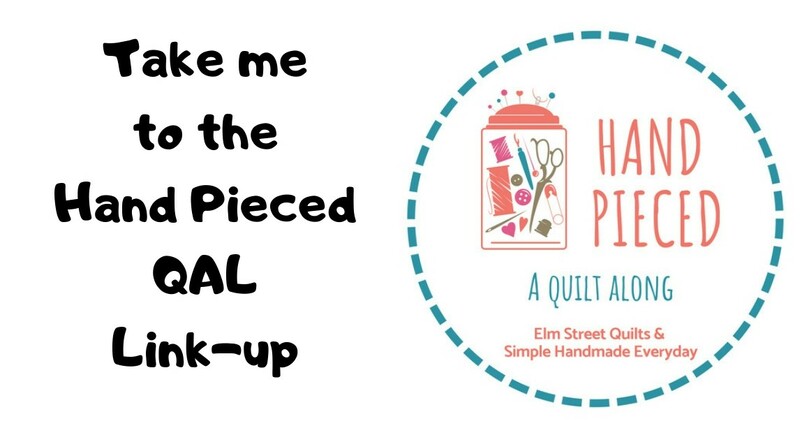 Quiltfabrication, Quilt Story, Ladybug Blessings, and Sew Fresh Quilts . It's perfect! You put a lot of work in to this! Can't wait to see it finished with the quilting! Your daughter will be the envy of her dorm for sure! How great that you were able to connect with Mary Ann. Once again we see that quilty friends are so generous! Great post! Love, love, love that quilt! I love this so much! That is a fantastic quilt for her first year away!!! Oh My, luck you to receive Mary Ann's fabric! Quilter's are AWESOME. This is going to be an amazing quilt!! I love how you used caps for WORDS and MAGIC...it is beautiful! Glad you found a source for more fabric! Quilters are such a generous bunch :) I am not sure I ever saw that line but I am enjoying watching you spin your magic with it! This looks great! You chose perfect fabrics for the words. This is going to be an awesome quilt! What a treasure for your daughter! Can't wait to see it finished!! What an amazing quilt for your daughter to take to her dorm!! 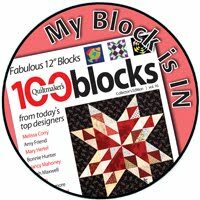 I'm amazed that you not only found the blog post announcing your win, but the other winner hadn't used her fabric yet. Lucky you! That is such a great idea for a dorm quilt. And you are so lucky that the other winner still had some fabric and would happily share. Aren't quilters wonderful? 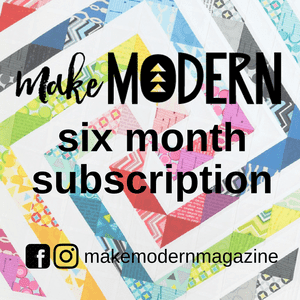 Bargello QAL - Let's Party!